By what means can you condition the minds of every member of the team to act in harmony with the requirements of the success formula / continuous improvement cycle? Every day ask the members of your team the following Success Formula Questions and expect them to give you plausible answers. 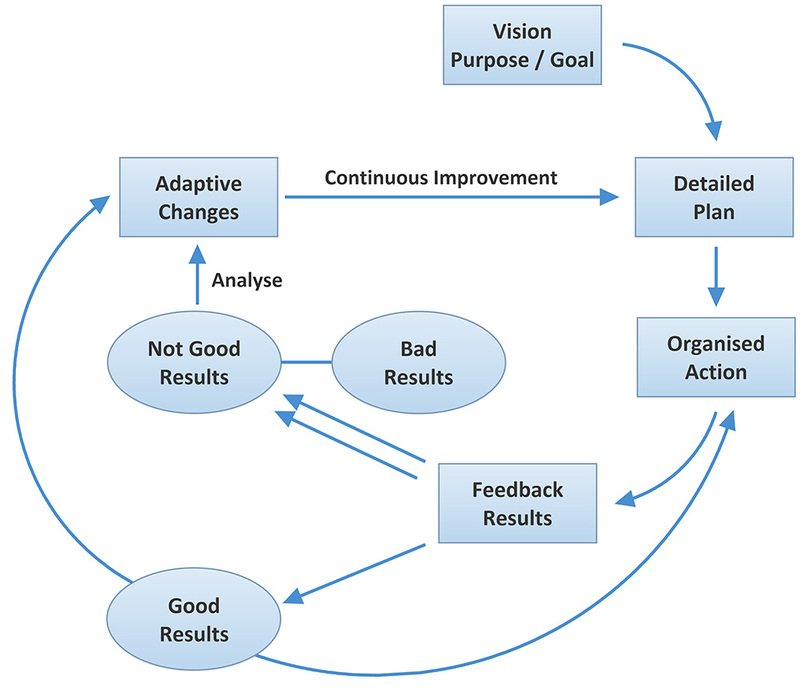 What are the Change Management / Continuous-Improvement / Success Formula Questions? 1. What is your major goal for this coming week (month, year...)? 2. What is your “detailed, written plans of action” that describe how you intend to achieve your goal? 3. In relation to achieving your goal and working on your plan, what are your top priority actions? Which is the very first action to take? 4. By what means are you gathering and verifying the feedback results? 5. What has been going well for you, lately? 6. What has not been going so well for you, lately? 7. In respect of what has not been going so well: what do you think we need to alter, adapt or change, in order to improve things and make the future better? 8. Going back to what is currently going well, what do you think we could do to make things even better than they are now? Please memorise and then use these questions. Condition the minds of every member of the team, to act in harmony with the success formula. Your aim is to trigger success formula thoughts, feelings and actions. Then, successful results will inevitably follow. Drag this button: Continuous Improvement Web-Widget to your bookmarks bar or desktop to save it for use later.